The Rainforest Garden: Coral Reef Garden in Aquavision! 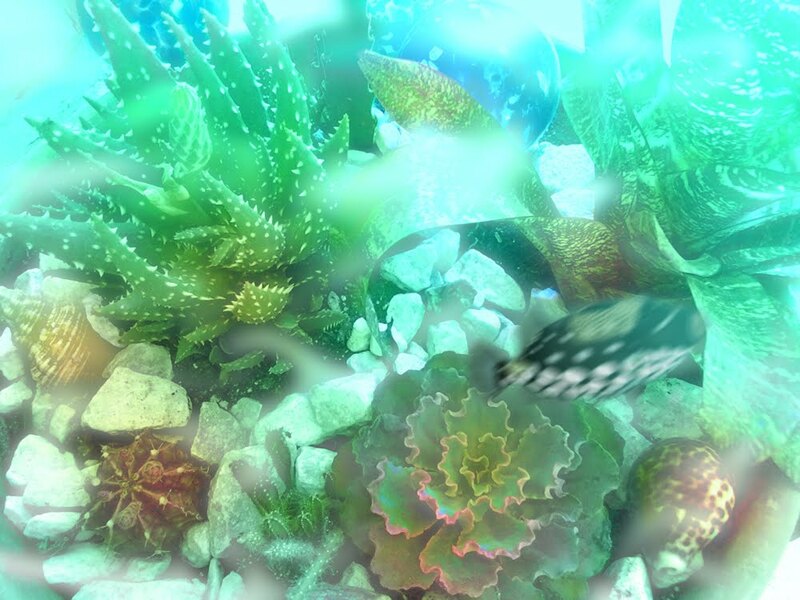 Coral Reef Garden in Aquavision! Photoshop is great! I recently found a wavy echeveria for $3 with ruffled bright leaves and had to put it into my coral garden! 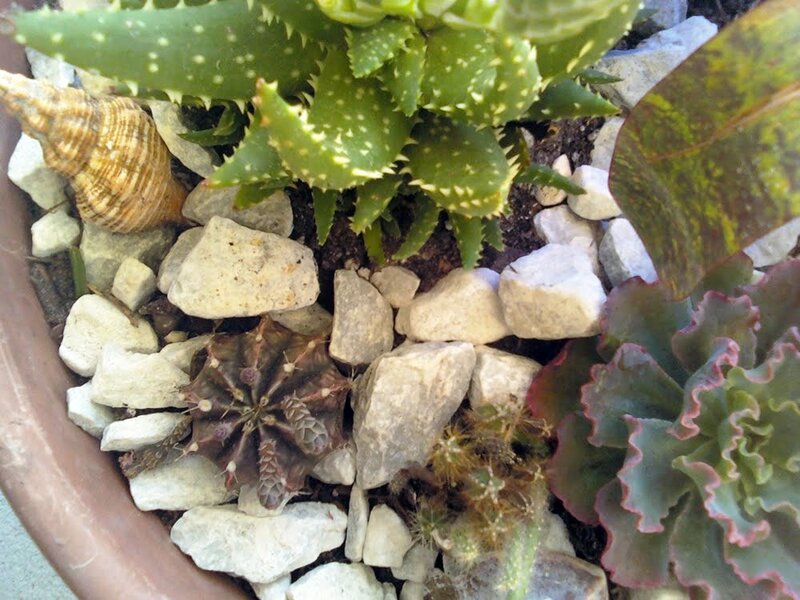 Below is a picture of it out of the water along with the as yet unidentified cactus, the aloe "crosby's prolific" and some seashells. Next I'm going to bring over some shells and pieces of coral I found on the beach! Love that coral reef! I saw the coral cacti and the brain coral celosia this w/e at HD and was so tempted to copy your idea. Next time I get extra money, I think I will! 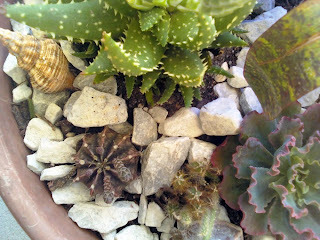 I read somewhere that calcium is a no-no for cactus. Do check that out before adding sea stuff in your arrangement. I was surprised/maybe a little horrified to see succulents and cactus under water! ps. thanks for the nomination. It looks like a number of people want the award. I must check it out!